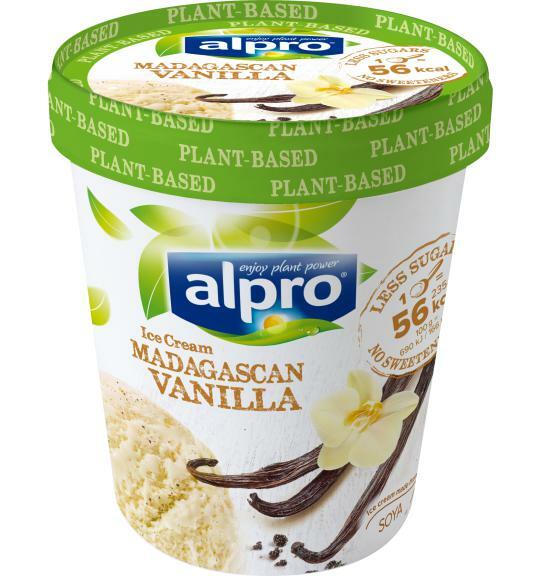 Alpro's plant based ice cream is made from nature's tastiest ingredients and contains less sugars*. It has a deliciously creamy texture without feeling too heavy. Enjoy the delicious creaminess of our soya based vanilla ice cream, which uses real vanilla for a gorgeous sweet taste sensation -just like splitting open a vanilla pod. Transport yourself to Madagascar whilst indulging in our vanilla ice cream. May contain traces of nuts (no peanuts). Contains soya. Free from dairy and gluten. We endeavour to keep this list as up to date as possible but stores can change. We recommend contacting the store prior to visiting to check they stock the product.